GOLDEN, CO / MAY 2014 – Amidst an industry event with over 15,000 food industry professionals meeting together to explore new trends in food marketing, fresh produce opportunities and food safety innovations, Meritech of Golden, Colorado is bringing a higher purpose to the trade show in an effort to raise awareness about the problem of hunger in the U.S. and worldwide. Meritech is the only manufacturer in the world of fully automated, touch free handwashing systems that perform a 12-second hand wash, sanitize and rinse cycle, removing 99.98% of dangerous pathogens. Meritech’s Mission is to create innovative products in an effort to help in the battle to prevent the spread of disease through effective hand hygiene. Meritech’s vision is to prevent disease and save lives. 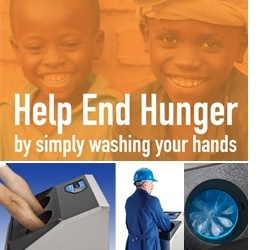 And Meritech wants to play a part in the effort to save lives by ending hunger and donating $1 to The Global FoodBanking Network (GFN) for every set of hands washed in one of our 4 automated handwashing systems set up at our booth at the United Fresh 2014 Trade Show. The people of Meritech want to invite you to wash your hands with us and help us raise money and awareness of the Mission of The Global FoodBanking Network and the Food Banks that GFN helps around the world. Come to booth #2156 at the show and wash your hands in a quick 12 second cycle and Meritech will donate $1 for your wash and $1 for every other wash in our machines at the show. At the many trade shows Meritech does every year, we can have thousands of washes and our goal at United Fresh is 3000 washes, so please come by our booth and wash your hands and help GFN in its mission to end world hunger. Our timing is great because from now through the end of June, an anonymous philanthropist has generously offered to match any donation to GFN at a ratio of 2:1, which equates to a triple gift! This means that your $1 donation is actually a $3 gift to GFN to help the hungry globally. United Fresh 2014, in partnership with FMI, takes place June 10-13, 2014 at McCormick Place in Chicago, Illinois. If you’re attending, make sure you stop by booth #2156 so you can help Meritech put an end hunger! The Global FoodBanking Network (GFN) is a not-for-profit organization committed to fighting hunger and reducing food waste by creating, supporting and strengthening food banks and food bank networks around the world. GFN currently supports food bank operations in more than 25 countries outside the USA – representing more than one-third of the world’s hungry – and is on track to expand its reach this year.Food banking is a proven solution to two critical global problems: hunger and food waste. There is enough food to feed the world, but one-third of it is wasted so it never nourishes a hungry person. Food banks rescue perfectly edible, nutritious, non-saleable surplus food before it is wasted and redistribute it to feed hungry people.In 2013, GFN helped feed more people in more places than ever before. More than 920 million pounds of food were distributed by food banks in the GFN network. That’s 920 million pounds of food that did not go to landfill, where it would harm the environment by creating ozone-destroying greenhouse gas. Meritech offers a complete line of NSF certified, fully-automated handwashing and boot scrubbing machines that provide the only technology-based approach to employee hygiene in the world. Meritech’s CleanTech Handwashing systems perform a fully-automated 12-second hand wash, sanitize and rinse cycle, removing 99.98% of dangerous pathogens. Meritech helps companies with their employee hygiene and infection prevention programs in a wide variety of markets, including food production, restaurants, cleanroom manufacturing, theme parks and cruise lines. 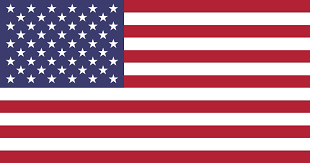 Meritech will be exhibiting at Booth #2156 at United Fresh 2014, June 10-13.